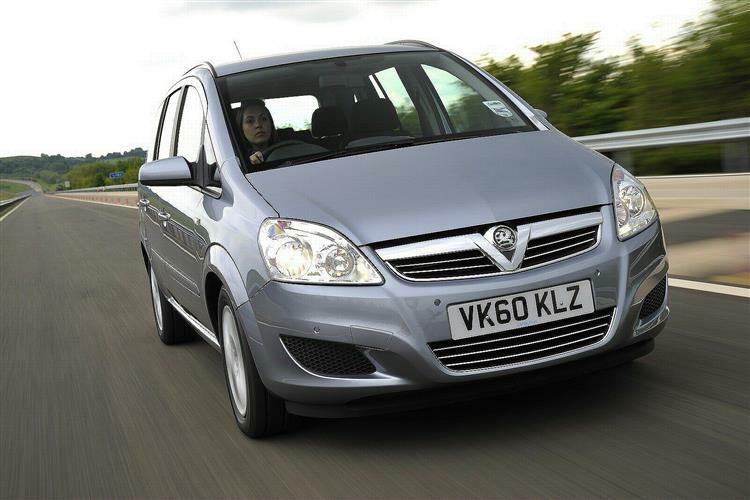 The second generation Vauxhall Zafira had a massive task on its hands when it arrived in dealerships back in July 2005. Its predecessor had established a template for clever seven-seat mini-MPVs, a template which rivals manufacturers were scrabbling to emulate and improve upon. Bigger and better finished than before, the Mark 2 version of the Zafira moved the car upmarket and onto the shortlists of a whole new group of buyers. As a used vehicle it's well worth a look. 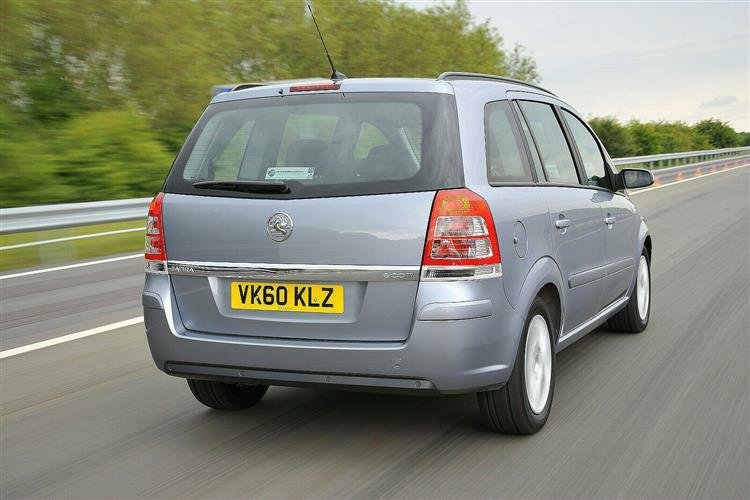 The Zafira is one of the most significant family cars of the last ten years. It's the vehicle that changed the way we bought compact MPV-style vehicles, fragmenting the market into five and seven seat models and showing that with some ingenuity, you could pack a lot of practicality into quite a modest wheelbase. It has to be said that this second generation Zafira probably isn't quite as smart as its forebear. It's bigger, hinting at slightly lazier design parameters, and the seating system is nowhere near as intuitive. That said, it's still one of the very best of its ilk and if the purity of design has been diluted a little, the improved driveability and quality more than make up for it. By the time this vehicle was launched in July 2005, the MPV market was starting to split along firm lines depending on numbers of seats. The Zafira, having set the seven-seat agenda back in 1999, then blurred the boundaries again, this vehicle being a five seater for most people most of the time with the remaining pair of chairs popping up on an occasional basis. This hasn't stopped other car makers trying to better the formula but the sales figures show considerable brand loyalty to the Zafira. The range was augmented in September 2005 with the 2.2-litre Direct petrol engine and then in November with the ripsnorting 237bhp VXR variant. The Active special editions debuted in February 2006 and the Elite was introduced as a plush range-topping derivative in mid 2007. 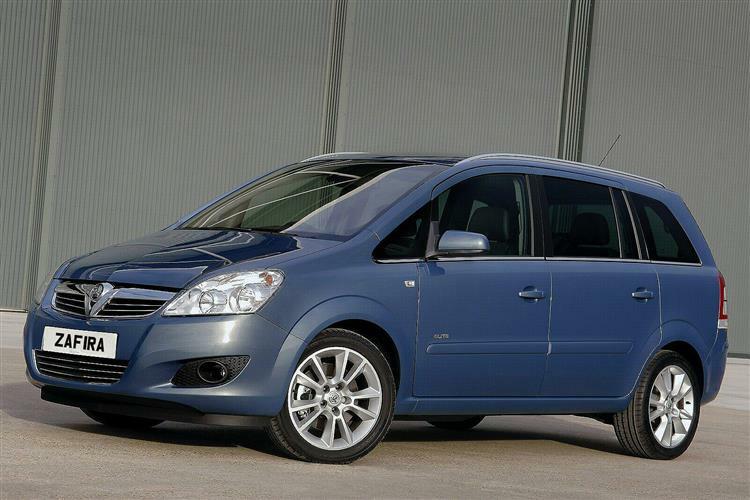 The Zafira was facelifted early in 2008 and gained a sharper looking front end plus some upgraded trim materials. The basic package remained unaltered. 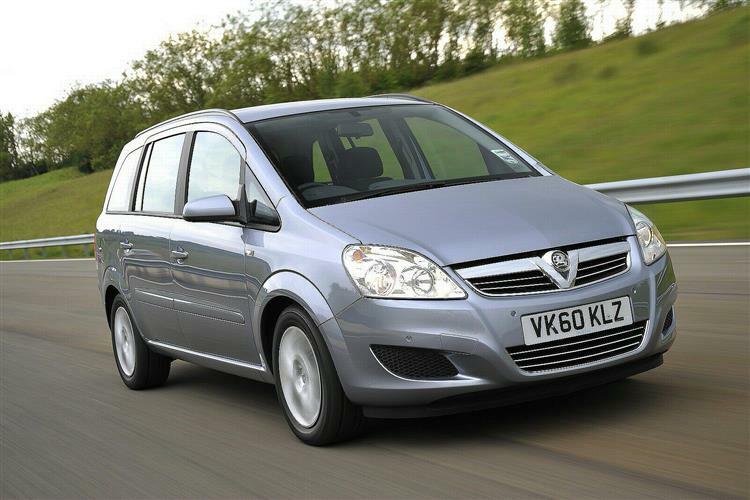 In 2009, an ecoFLEX version was introduced based around Vauxhall's 1.7-litre diesel engine. This car has various efficiency modifications rendering it capable of 53mpg combined economy. 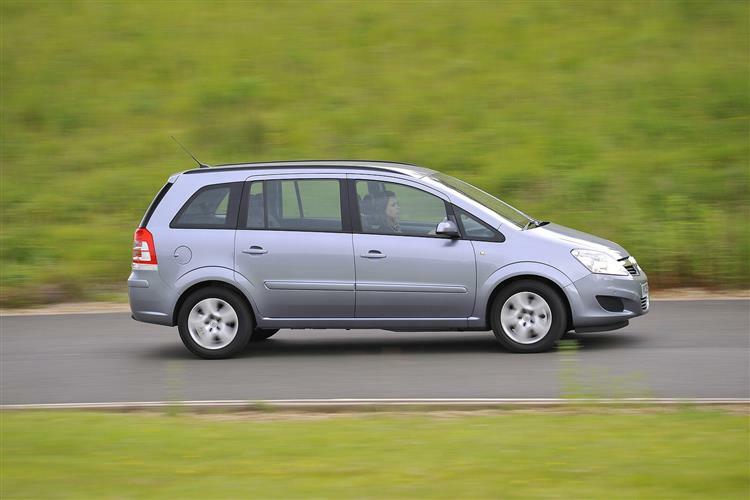 The one thing you can never have enough of in an MPV-style vehicle is space and sure enough, the tale of the tape reveals that the Zafira succumbed, if not to middle age spread, then at least a little loosening of the belt. This is perhaps understandable given the fact that with utility vehicles like the Meriva mopping up sales in the supermini-MPV class and no recognised full-sized MPV contender, there was a vacuum into which the Zafira would be drawn. Six inches longer, 1.5 inches wider and a shade taller than the outgoing car, the MK2 Zafira retained the seven-seat configuration, with a middle bench seat offering three berths and two seats in the back that also fold flat into the floor. What did change was the amount of legroom on offer to the occupants. Whereas the old car would have been hideously cramped with all seven seats in use, the later model offers a little more breathing space. It's still not ideally suited to a rugby sevens team and their kit, but for the larger family, it's close to perfect. As before, the seating system is so versatile that the Zafira can be configured in two, three, four, five, six or seven seat guises with a little practice. Most buyers will run in five-seat format, and in this mode the Vauxhall can cope with 620-litres of luggage - fully 20 more than the old car. 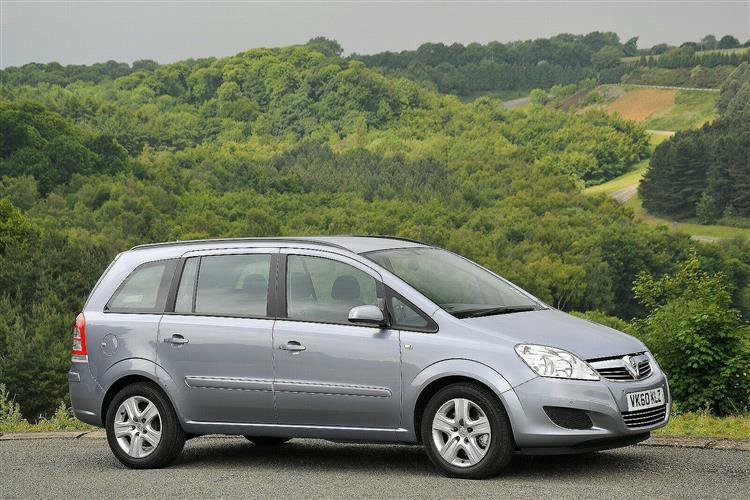 Depending on the trim level, the Zafira can also boast up to 30 storage compartments. The 'Flex Organiser' luggage bay stowage system that proved a success with Astra Estate buyers was also available on this Zafira. The Zafira is still too new for any major problems yet to emerge, and the Astra mechanicals upon which it is based have proven themselves to be ostensibly trouble free. As with any car that is used to transport families around, check for damage wreaked by youngsters, including broken fittings, rips or stains on the upholstery and scratched plastics. Also ensure that all of the seats fold away smoothly, as it's easy for dropped items of food or small toys to jam the runners. Check that the suspension is still in good working order - a regular run transporting a six-a-side football team will drastically shorten the life of a set of dampers. The VXR model can be rather hard on front tyres if driven hard and the eighteen inch alloy wheels are prone to damage from pot holes. Otherwise check for the service record and look forward to buying a very capable car. (approx based on a 2005 1.6 Club). A new clutch assembly will see your dealer clutching £170 of your folding, whilst a new exhaust system retails at £500, although expect to knock £150 off for an exchange front pipe. Front brake pads are £45 a pair and rears are £33. A radiator is around £100, but if you need a new wheel and tyre for a VXR, you'll be looking at an eye watering bill of nearly £600. A wide range of engines are offered and this Zafira marked the debut of Vauxhall's 140bhp 1.8-litre ECOTEC powerplant. This became a mainstay of Vauxhall's petrol powered engine selection and, compared to the outgoing model's 1.8 unit, the replacement boasted 14 per cent more power, consumed four per cent less fuel, had improved flexibility and was a good deal more refined. The 140bhp power output means the 1.8-litre engine is one of the most powerful in this class, but it's far from being a highly-stressed race engine with peaky power delivery. Thanks to advanced valve and cam phasing technology, 90 per cent of the 175Nm maximum torque is available from 2200 to 6200 rpm. This wide range ensures lively performance and exceptional pulling power even at low engine speeds, making everyday driving more relaxed with less need to change gear. Vauxhall pioneered the concept of the performance mini-MPV with the GSi Turbo version of the MK1 Zafira and filling that niche even more emphatically in the MK2 range is the Zafira VXR. From the VXR sub brand of high performance vehicles, this model can call upon a 240bhp powerplant that will rocket the car to 60mph in 7 seconds flat and on to a top speed of 144mph. With 320Nm of torque in reserve, this Zafira has as much muscle as a Porsche Boxster S. If the growing family means that you've had to shelve plans for a sporty car, here's the perfect antidote. With a honeycomb grille, a larger front bumper (with a central air intake) and fog lights, the VXR has serious rear-view mirror presence. Deep sill extensions, twin tailpipes and 18-inch alloy wheels ensure that bystanders know what they're looking at. 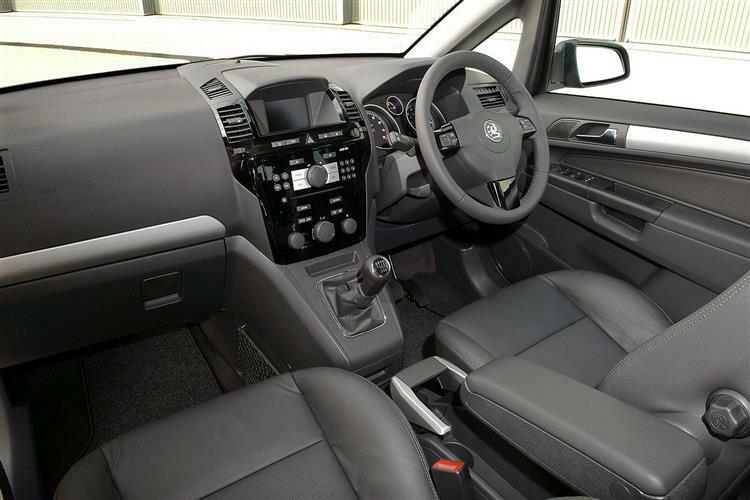 The interior features Recaro sports seats and a sports steering wheel and gear lever. Most buyers, however, opted for the CDTi diesels and both the 120 and 150bhp versions have a lot to be said for them. Until you drive the two Zafira diesel models back to back, it's tough to appreciate how much quicker the 150bhp installation is but for most customers the cheaper 120bhp unit was the better buy. Both are fitted as standard with a six-speed manual and the 120bhp car will get to 60mph in 12 seconds while the 150bhp model will detain you for 10.2. Top speeds are pegged at 116 and 126mph respectively and combined economy figures are 46.3mpg for the 120 and 45.6 for the 150. Carbon dioxide emissions vary little, the 120bhp Zafira putting out 165 grammes per kilometre travelled and the more powerful model a scant 2 grammes more. Opt for the automatic on the 120bhp car and the figures become a good deal less impressive. 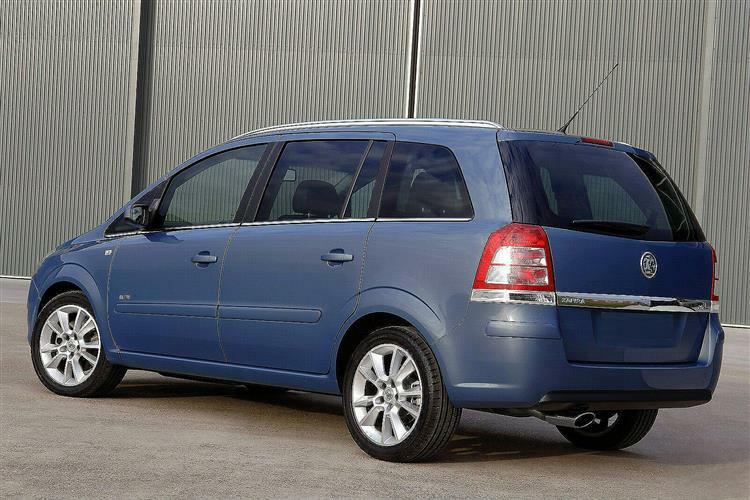 The Zafira rapidly became the benchmark mini-MPV in its original iteration and it remains so today. Other manufacturers offer bigger or sportier people carriers but the brand equity built up by Vauxhall is still reaping big rewards. A CDTi diesel model would be our pick.